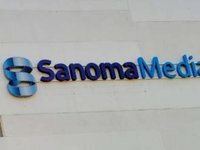 The Finnish media holding Sanoma has decided to discontinue its business operations in Ukraine, including the publication of the magazines National Geographic, Esquire and some others, Sanoma reported on its website on Monday. "As a result of the strategic review announced on October 31, 2013, Sanoma has made the decision to discontinue business operations in Ukraine in agreement with all other shareholders and license partners. January 2015 issues will be the last to be published. Online media will continue until December 31, 2014," the report says. Besides the publications mentioned above, Sanoma publishes the following magazines in Ukraine: Harper's Bazaar, Good Housekeeping, Men's Health, and Cosmopolitan Ukraine. The first three titles will be closed together with National Geographic and Esquire. According to Russian media reports, the right to publish Cosmopolitan Ukraine has been obtained by Hearst Shkulev Media, a Russian partner of the Finnish media, which will begin publishing the magazine in February 2015.